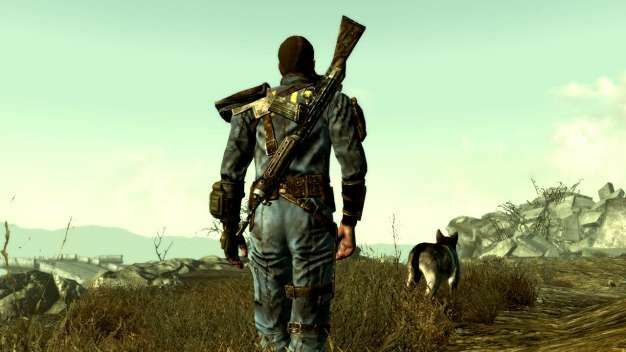 Fallout 3 is a very long game that’s about to get a lot longer. Bethesda kept us on its good side by giving us expansions to Oblivion with Knights of the Nine and Shivering Isles, and now we get information on the first piece of downloadable content for Fallout 3 called Operation Anchorage. If we looked closely at some of Fallout ‘s loading screens we would have noticed the newspaper headline that reads, “Commies Crushed, Alaska Liberated!” That battle just so happens to be what the downloadable content is all about. The battle takes place in a simulator and we have to survive within its parameters against the Chinese red army in Alaska. We’ll have the ability to control strike teams and obtain different gadgets, weapons and armor. Unlike the main quest where we can go a couple hours without firing a single round, Operation Anchorage will be heavy on the combat and stealth side. The campaign will take 4-5 hours to complete and all the spoils of war can be taken back into the main quest when we’re done. Operation Anchorage will be available in early 2009 for 800 Microsoft Points or $10. The next two pieces of DLC are called The Pitt which takes place in a not as structurally devastated, yet heavily radiated Pittsburgh, and Broken Steel which will finally break that pesky level 20 cap.